Speaking at an event hosted by the Center for Security Policy on Thursday, House Intelligence Committee Chairman Devin Nunes said that President Trump is close to declassify portions of a Foreign Intelligence Surveillance Act (FISA) warrant granted against former Trump campaign adviser Carter Page. And this is exactly what President Trump did. 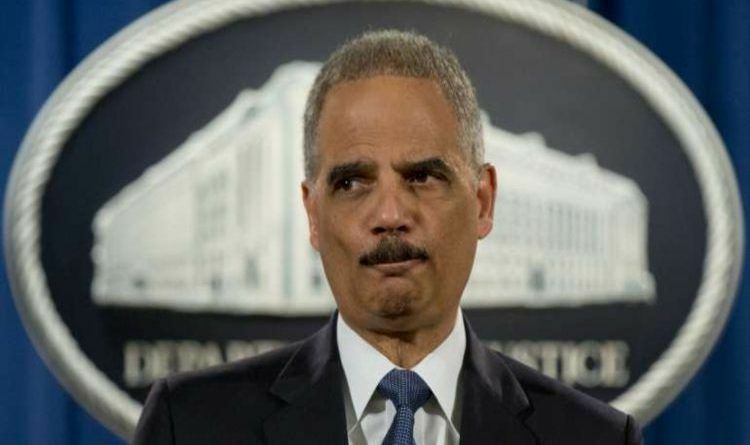 This news made almost every American happy… but not former Attorney General Eric Holder. On Tuesday morning, Holder took to Twitter to express his outrage. “This is an especially dangerous abuse of power by this President. He places his self interest above the national security interests of the country,” Holder wrote. No, Holder. I think it’s especially dangerous for YOU because all your nefarious activities put the last administration self-interest above the national security and those of our Constitutional Republic! After all, if Democrats truly believed Trump colluded with Russia, they would want the FISA documents declassified to prove they were warranted. The fact that Trump is forcing declassification means he’s very confident in FISA wrongdoing. Eric Holder is afraid that the declassified documents will reveal that the Obama Administration broke all kinds of laws when it decided to use the FISA’s counter-terrorist secret processes to illegally SPY on the Trump campaign BEFORE the election and continued using the FISA process to spy on President Trump AFTER the election. This was the first time in known USA history that an outgoing President spied on the incoming President. All of the traitors involved in Operation Crosswind Hurricane must be prosecuted and sentenced to the maximum time in prison. WE the PEOPLE must not accept anything less than this! ← The Anonymous Woman Who Accused Kavanaugh of Sexual Assault Is A Registered Democrat!